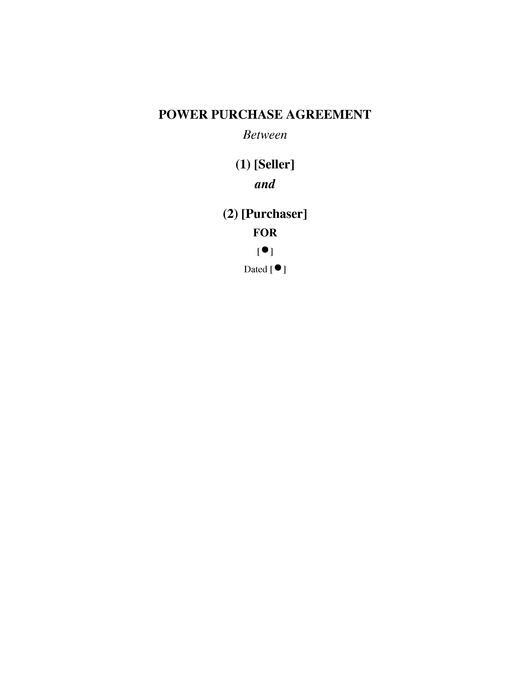 Model Power Purchase Agreement - Africa - Kenya Short-form relatively simplified power purchase agreement developed for the Kenyan Electricity Regulatory Board for use in "hydro, geothermal or gas fired" power generation facilities. It anticipates both a capacity charge and an energy charge. 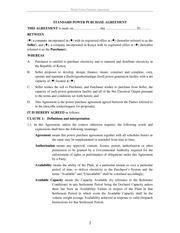 Seller is to sell all the net electrical output of the plant to purchaser. This page was last modified on 12 June 2014, at 14:32.